...because the world needs more problem-solving leaders. 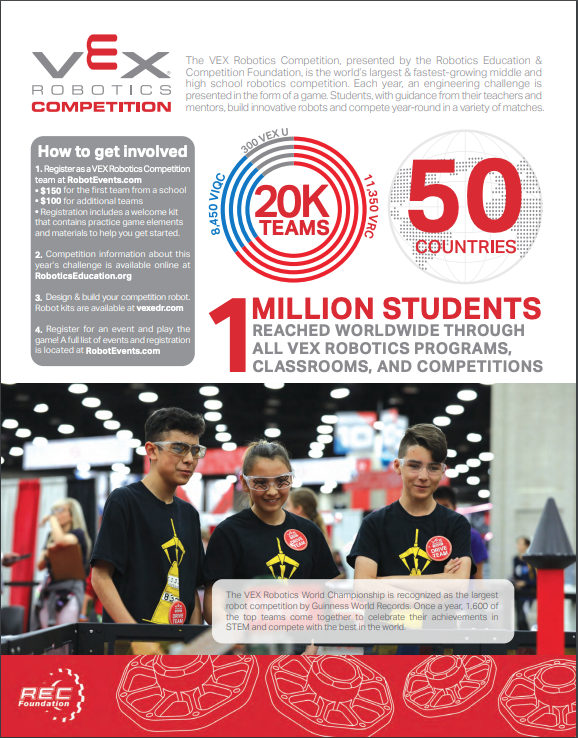 VEX kits inspire students to become the problem solving heroes of tomorrow. The VEX EDR system harnesses the excitement of building robots to immerse learners in Science, Technology, Engineering and Math (STEM) concepts. Educators can bring VEX EDR into the classroom with our custom-made curriculum or use it as a standalone teaching tool in after-school robotics clubs. ...because VEX is a complete classroom We believe that teamwork-driven learning environments are the key to expanding STEM education worldwide. ...Introducing students to STEM, one classroom at a time. No misaligned holes or clashing gears? No problem. 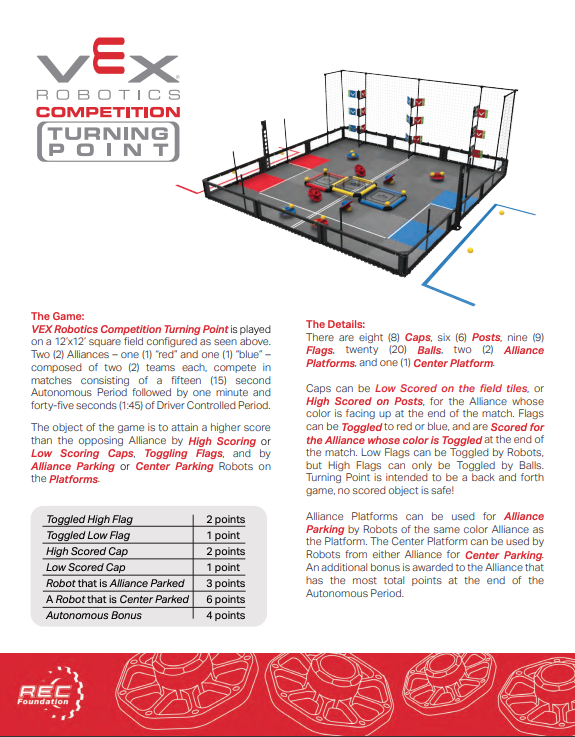 The VEX EDR platform was designed from the ground up to encourage creativity in problem solving. The system itself should never be the biggest constraint in the design process - with VEX, there is almost always more than one way to accomplish the same goal. All of our products are built around each other to ensure seamless integration without frustration. VEX's integrated system of components means that students can focus on questions like "what happens if we change this arm?" instead of "why doesn't this piece fit?" If you can envision it, you can build it.